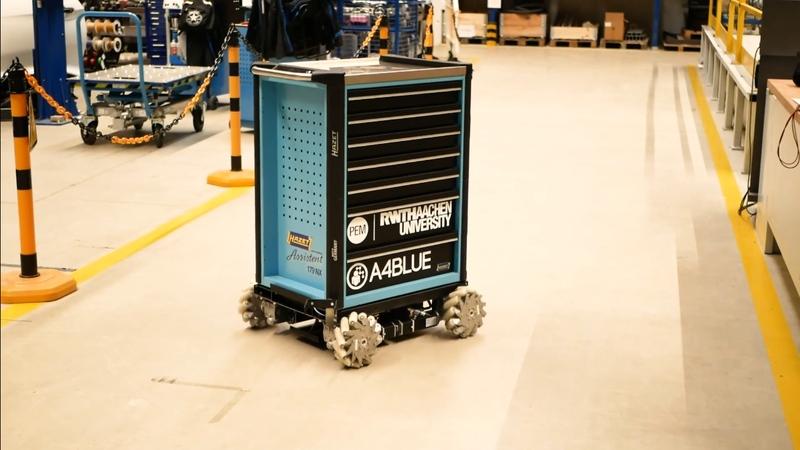 In A4BLUE (RWTH use case) we are developing an autonomous tool trolley to support workers in performing their assembly tasks which already reacts to human gestures and follows the worker on command in a test environment. Don’t you believe us? Watch this video! 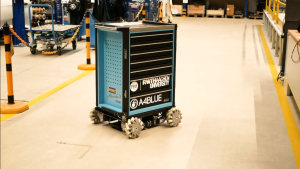 Our solutions are not intended to replace blue collar workers but to make their everyday work life easier and enhance their work satisfaction via new adaptive workplaces that change and respond to their individual profiles and to the changing manufacturing environments. Want to know more ? Contact us!